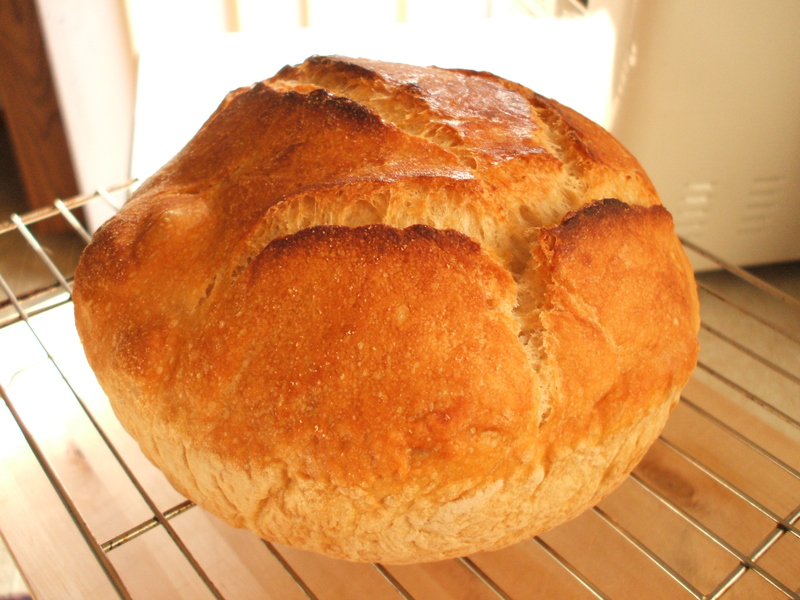 What could be more calming in these stressful times than baking bread? Not only is it more economical (and tasty) but running your fingers through silken flour, smelling the yeast at work in rising dough and of course, working your aggressions out with a good kneading is a relaxation session in its own way. I find any frustrations of my day disappear when I peak into the oven and see a voluminous loaf of bread baking. We keep it simple with this margherita recipe but feel free to improvise, for tips on successful pizza grilling check out this article and this one too. This simple, foolproof recipe from the America’s Test Kitchen Family Cookbook creates wonderful lunch bread with the sweetest, “breadiest” smell when baking and when toasted. Of course, baking bread isn’t so easy when you get home from work at 5 (or later) but if you start this right away you can tuck into a slice of warm bread with butter and jam just before bed and have plenty for lunch sandwiches the next day. This recipe for No Knead Bread took the cooking blogosphere by storm when it was published in the New York Times in November of 2006. I of course didn’t discover it until a year later, but I’ve been a fan ever since. This crusty boule is delicious sliced with a little butter and excellent grilled (brushed with a little olive oil) and added to this salad (which has become one of my main stay “entertaining” dishes). Combine the flour, sugar or honey, salt, yeast, and olive oil in a large mixing bowl or in the bowl of an electric stand mixer. Add 11 fl. oz. (1 1/4 cups plus 2 tbsp.) cool (60 to 65 degree) water. With a large spoon or the paddle attachment of the electric mixer on low speed, mix until the dough comes together in a coarse ball, 2 to 3 minutes by hand or 1 or 2 minutes in the mixer. Let the dough rest, uncovered, for 5 minutes. 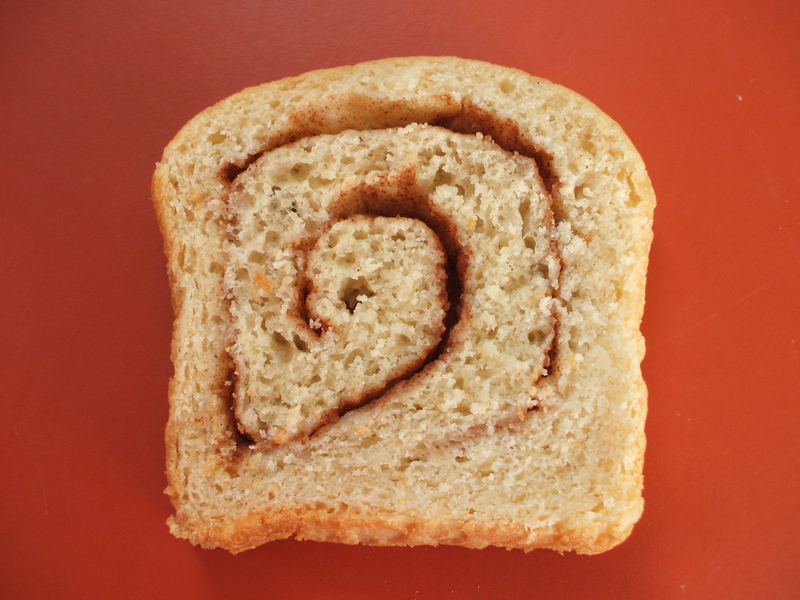 Knead the dough: If using an electric mixer, switch to the dough hook. Knead the dough for 2 to 3 minutes, either by hand on a lightly floured work surface or with the mixer’s dough hook on medium-low speed. As you knead, add more flour or water as needed to produce a ball of dough that is smooth, supple, and fairly tacky but not sticky. When poked with a clean finger, the dough should peel off like a Post-It note, leaving only a slight residue. It may stick slightly to the bottom of the mixing bowl but not to the sides. Chill the dough: Lightly oil a bowl that’s twice the size of the dough. Roll the dough in the bowl to coat it with the oil, cover the top of the bowl tightly with plastic wrap, and refrigerate for at least 8 hours and up to 3 days. It will rise slowly in the refrigerator but will stop growing once completely chilled. If the plastic bulges, release the carbon dioxide buildup by lifting one edge of the plastic wrap (like burping it) and then reseal. 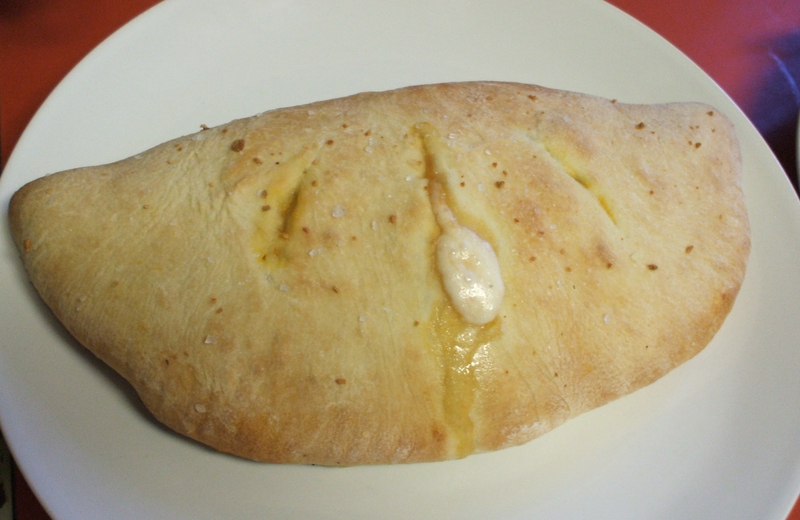 To freeze the dough: After kneading the dough, divide it into 4 pieces for pizzas or calzones or 2 pieces for stromboli. Freeze each ball in its own zip-tip freezer bag. They’ll ferment somewhat in the freezer, and this counts as the rise. Before using, thaw completely in their bags overnight in the fridge or at room temperature for 2 to 3 hours. Then treat the dough exactly as you would regular overnighted dough, continuing with the directions for making pizzas, calzones, or stromboli. Knead dough on a work surface with floured hands, reflouring work surface and hands when dough becomes too sticky, until dough is smooth, soft, and elastic, about 8 minutes. Divide dough in half and form into 2 balls, then generously dust balls all over with flour and put each in a medium bowl. Cover bowls with plastic wrap and let dough rise until doubled in bulk, about 1 1/4 hours. Dough can be allowed to rise, covered and chilled, 1 day. Bring to room temperature before kneading. You can also freeze the dough. 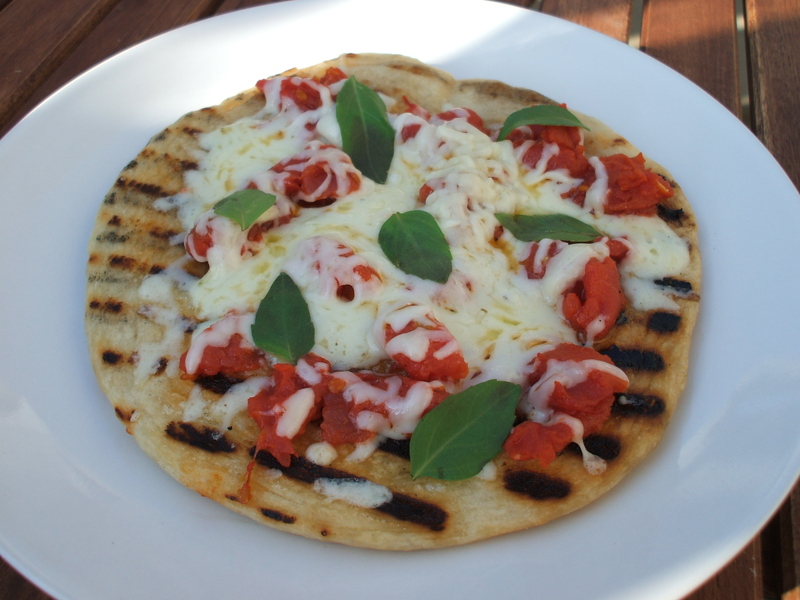 If making grilled pizza for dinner, pull the dough out of the freezer in the morning and let thaw in the fridge. In the afternoon unwrap dough and let warm up on the counter top (covered lightly with plastic wrap) before using. 1. Whisk the milk, water, 3 tbsp of the butter, and the honey together in a large liquid measuring cup. Mix 3 1/2 cups of the flour, yeast and salt together in a standing mixer fitted with the dough hook. With the mixer on low speed, add the milk mixture and mix until the dough comes together, about 1 minute. 2. Increase the speed to medium-low and knead until the dough is smooth and elastic, about 10 minutes. (If, after 5 minutes, more flour is needed add the remaining 1/4 cup flour, 1 tablespoon at a time, until the dough clears the side of the bowl but sticks to the bottom). 3. Turn the dough onto a clean counter and knead by hand to form a smooth, round ball, about 1 minute. Place the dough in a lightly oiled bowl and wrap tightly with plastic wrap. Let rise in a warm place until doubled in size, 1 to 1 1/2 hours. 4. Turn the dough out onto a lightly floured counter and gently press it into an 9-inch square. Roll the dough into a tight cylinder and pinch the seam closed. Place the load seam-side down in a 9-inch loaf pan, wrap tightly in plastic wrap, and let rise in a warm place until it has nearly doubled in size and springs back slowly when indented with a finger, 1 to 1 1/2 hours. 5. Adjust an oven rack to the middle position and heat the oven to 350 degrees. Bring a kettle of water to a boil. Brush the loaf with the remaining 1 tablespoon butter. 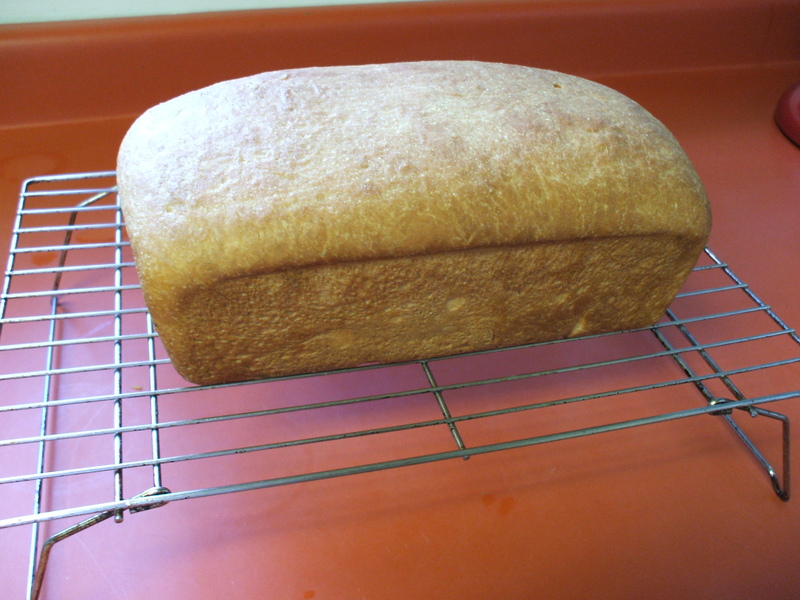 Set the loaf pan on the oven rack and place an empty meal loaf next to it. Fill the empty pan about half full with the boiling water. Bake until golden and the center of the bread registers 200 degrees on an instant read thermometer, 40 to 50 minutes. Flip the bread out onto a wire rack and let cool to room temperature before slicing, about 2 hours.